The third annual conference will be held on March 11, 2020 in Talley Student Union. 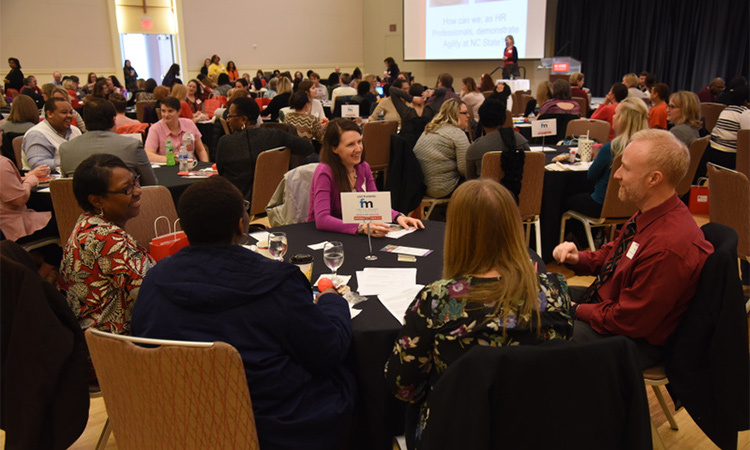 HR Professionals will have an opportunity to network with HR colleagues from all across campus and gain a deeper understanding of HR and their role at NC State. We hope you found the conference informative and worthwhile. Our primary goal of this conference was to introduce the benefits of agile approaches to HR work at NC State. We believe that our diverse and dynamic group of speakers and panelists provided in-depth insight, as well as, actionable and practical tools. Your presence helped to make this event a great success and your enthusiasm and positive spirit helped make our time together both productive and fun.